Cycling’s Olympic and Commonwealth medalists of the future could have started out dreaming of becoming the next David Beckham. Apprentice footballers who fail to make it as professionals could transfer their sporting skills to cycling under the Pitch2Podium scheme run by UK Sport, the English and Scottish Institutes of Sport and partners within the football and rugby authorities. The initiative, which made its Scottish debut in Glasgow yesterday, aims to propel football and rugby players who miss out on professional careers in those sports, into other disciplines, including cycling. 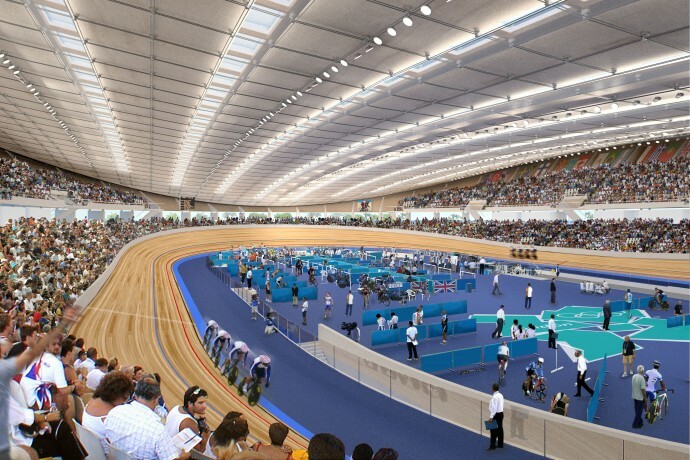 As the title suggests, the Olympic and Commonwealth Games are very much in the scheme’s sights. If he had not broken through as the new star of Arsenal, Theo Walcott may have been able to transfer his explosive power on the pitch to the peloton. The sprint power of a Chris Hoy or the endurance of a Nicole Cooke are two qualities which many footballers have. Every year, hundreds of apprentice footballers are released by clubs who decide they do not have what it takes to become full-time professionals, and in current economic conditions that number is unlikely to go down. Players attending the Scottish launch event in Glasgow were tested on several different aspects of their performance, to see which sports they would be suited for. Beforehand, they were treated to a short talk by Olympic gold medal-winning cyclist Paul Manning, who cited team-mate Rebecca Romero as a successful example of changing sports. Romero was a rowing world champion before she took to cycling. Manning, meanwhile, won swimming medals before turning his focus to cycling. Through another initiative, Gold4Glasgow, the Scottish Institute of Sport also hopes to identify athletes capable of representing Scotland at the 2014 Commonwealth Games. The programme's first event, to be held at the Stirling Sports Village on May 3, will focus on women's cycling. Darren Campbell played for Plymouth Argyle before returning to athletics in 1995 and going on to win Olympic gold. Kévin Sireau, a French youth footballer swapped to track cycling and won an Olympic silver medal in Beijing. David Price, released by Liverpool FC, switched his efforts to boxing, going on to win Olympic bronze. Sir Steve Redgrave, Britain’s greatest ever Olympian, profited from an early involvement in rugby before turning to rowing. For more information or to apply online, visit www.progression09.com or email pitch2podium [at] uksport.gov.uk for details.